The National Police Autism Association (NPAA) was founded in 2015 to provide autism support to police officers, staff and the community. Our external-facing work was prompted by a need to provide all police officers with autism awareness training and to share best practice – at the time those Forces which provided training tended to include it as part of a larger input on mental illness, which was not ideal. The NPAA has played a part in raising awareness of autism as a condition that all police officers will come across during their career – although there is still work to be done, we are pleased to see that many Forces now train officers to recognise autism traits and to achieve best evidence when working with autistic victims, witnesses and suspects. One issue we have highlighted concerns the provision of appropriate adults for autistic detainees in police custody. It is all too easy for autism to be overlooked during the booking-in process, which can lead to an autistic person being interviewed without the support of an appropriate adult. The recent changes to the PACE Codes of Practice have gone some way to remedying the situation, with an appropriate adult now being mandated for anyone who may find it difficult to understand the significance of questions or information. Although autism is not explicitly mentioned, it clearly falls within the expanded definition provided in the code for ‘vulnerable adult’, which replaces the previous outdated terms ‘mentally disordered’ and ‘mentally vulnerable’ – with the appropriate training in place for custody staff, we are confident that autistic suspects will be better protected under the new legislation. We are also pleased to see that Avon & Somerset Constabulary have gone further and implemented a policy of all autistic suspects being provided with an AA in Custody, regardless of how their condition affects them – an excellent example of best practice that we would like to see adopted by all Forces. The NPAA has also championed autism awareness for investigators – an important consideration for achieving best evidence given that many autistic people would struggle with being interviewed under caution, particularly in a police custody suite and even with the right support in place. The acknowledged experts in this field are investigators with the National Crime Agency, who have found that autistic people make up a significant proportion of those being interviewed for computer fraud and terrorism offences. In addition to keeping questions unambiguous and avoiding leading the suspect to a particular answer, NCA interviewers typically keep interviews to a maximum of 30 mins due to the high co-morbidity of ADHD in autistic suspects. Excellent resources are available for investigators, two examples being the National Autistic Society’s Guide for Police Officers and Staff, and The Advocate’s Gateway website hosted by The Inns of Court College of Advocacy. These and other materials are discussed on NPAA’s Police Neurodiversity Forum, a unique (and free) web resource available to police personnel and anyone working in autism support fields and academia. The NPAA is committed to ensuring that everyone coming into contact with the police and criminal justice system is treated with dignity and fairness. With over 1,000 members representing personal, family and professional interests in autism and other neurodiverse conditions, we are ideally placed to achieving this aim. For more information, visit our websitewww.npaa.org.uk and follow us on Twitter at @npaa_uk . Clare will be hosting a talk at the University of Warwick’s Psychology Society Annual Conference. 10.30am Dr Clare Allely (University of Salford) – The Pathway to Intended Violence in Mass Shooters: The Case of Dylann Roof and Adam Lanza. Alongside this both Co-founders have had papers accepted to present at the below conference. Dr Toni Wood, Prison Officers: Understanding and Knowledge of Autism Spectrum Disorder in the prison environment. My interest in autism and the Criminal Justice System stems from my time as a police officer. One of my roles involved interviewing suspects and preparing court files. On the occasions where I dealt with autistic suspects, it appeared to me that communication difficulties might have been a contributing factor to their arrest. After leaving the police force I returned to education, In 2015 I was awarded a Postgraduate Certificate in Autism by Sheffield Hallam University and in 2018 a Masters in Criminology and Criminal Justice by Keele University. During my Masters I applied the theories that I learnt on my PgCert to research on autistic individuals who came into contact with the criminal justice system. Working in the Criminal Justice System and having personal experience of autism gives me a unique perspective in this research area. 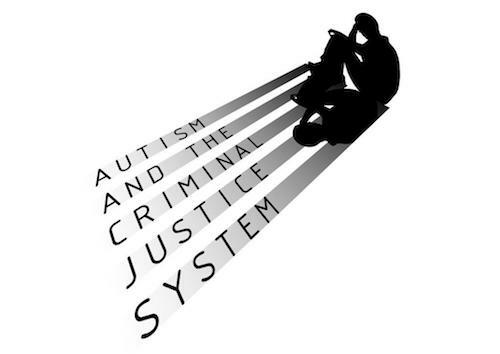 I have applied my knowledge of the criminal justice process, autism and operational policing throughout my research and have contributed to two book chapters relating to autism and policing . In my research on the use of spit hoods on autistic suspects I investigated the appropriateness of using spit hoods by the police on autistic suspects. My research evaluated the strengths and weaknesses of spit hoods, considering the impact of their use on individuals diagnosed with autism. The results of the research indicate that using spit hoods on autistic suspects can cause physical pain and significant distress, the full article was published in 2017 by Pavilion. More recently I have submitted Freedom of Information Requests to Police forces across the United Kingdom. Requesting information on which police forces offer autism training to their police officers. The results show that 29% of police forces do not receive any training to identify suspects with a diagnosis of autism. Consequently, this could lead to miscommunications and misinterpretations of the suspects’ behaviours. Most importantly the data suggest that most of the training in autism is designed and delivered by people without qualification in autism, my concern is that this training may not be adequate. My aim is to continue my research in the field of autism and Criminal Justice. Beardon L., Chown N., Cossburn K. (2018). First Responders and Autism. In: Volkmar F. (Ed.) Encyclopedia of Autism Spectrum Disorders. Springer: New York. Cossburn, K. (2017). The use of spit hoods by the police on autistic suspects. In: Milton, D. and Martin, N. (Ed,), Autism and Intellectual Disabilities in Adults Vol 2. United Kingdom: Pavilion, Hove. A follow on from: My son – disregarded by society. I have always been protective over my brother – throughout my parent’s turbulent relationship we sought solace from one another and throughout the years of bullying he endured I sought to protect him, often turning up unexpected when my high school broke up early to confront his bullies in the school yard. Following his conviction, I was powerless to protect him and was tormented to the brink of insanity. I knew we had to change the law, but I just didn’t know how. The law of joint enterprise as it stood at the time, was that to be convicted of murder as a principal offender (the one who dealt the fatal blow), the prosecution must prove that he intended to kill or commit at least very serious harm. However, for the secondary offender (the one who did strike the fatal blow or even necessarily physically or verbally assist or encourage the killing), would only need to foresee the possibility that another person would kill or commit at least very serious harm. It was this lack of intent which created the anomaly where it was easier to convict a secondary offender than the principal who actually struck the blow, wielded the knife, or pulled the trigger. This lesser culpability coupled with the fact that secondary offenders receive the same sentence as their principal counterparts, for us was an injustice worth fighting against. Alongside other families from the campaign Joint Enterprise Not Guilty by Association (JENGbA) we began our fight against joint enterprise, appearing on television, radio and in print – we told Alex’s story far and wide in the hope of raising public awareness and ultimately achieving law reform. It was an article about Alex in Daily Mail’s You Magazine https://www.dailymail.co.uk/home/you/article-2743794/My-brother-not-murderer-How-one-woman-gave-fight-justice.html which unexpectedly resulted in something we had long resigned to the past – a diagnosis for Alex. The article described Alex’s emotional fragility, anxiety and depression, inability to cope with breaks in routine and excellent abilities in mathematics and chess. A reader then emailed us through Alex’s website (www.justiceforalexhenry.co.uk) and asked us if we had ever had Alex screened for autism. I showed my mother the email and we spent the following days avidly researching autism. We were astounded by the similarities – Alex could be autistic! From that moment mum worked tirelessly to obtain an assessment. All the rejection and trauma suffered at the hands of hapless government bodies made her determined to obtain a private assessment for Alex – which was not an easy feat. After several rejections, it was ultimately the kindness and compassion of Professor Baron-Cohen who assessed Alex pro bono. I’ll never forget the day we received the diagnosis. I felt sick and the world blurred, as mum with her phone shaking in her hand, read the email aloud. ‘Alex is autistic’ she read as the world span back sharply into focus – we had done it, finally we had an answer. The Professor’s report described Alex as a very vulnerable young man who finds it hard conforming to social norms, planning, making good decisions, reading cues and understanding social situations – all of which can get him into trouble. He cannot easily interpret or predict the intentions of others in real time, particularly in fast-moving, spontaneous situations. But this was only half the battle won, and wiping away the tears we set about a new task – showing the Court that with the theory of mind difficulties Alex suffers from, he could not have understood Ferguson’s intentions, he could not have predicted his behaviour and therefore he could not have foreseen the use of the knife – he was not guilty. The leave to appeal against conviction was heard on the 14th and 15th June 2018, with the eminent Professor Baron-Cohen giving evidence for Alex’s defence. Fresh evidence, to be adduced on appeal must be fresh as in ‘reasonably not discoverable at trial’ and it must be capable of belief and relevant. It was the evidence of Baron-Cohen that since autism is an invisible disorder it is often overlooked my professionals and therefore was not necessarily discoverable at trial. It was capable of belief as Baron-Cohen, leading expert in the field was certain Alex was autistic. It was entirely relevant as it is very unlikely that Alex could have understood the intentions and motivations of Ferguson and therefore would not have foreseen the use of the knife and therefore is very unlikely to be guilty of the offence. The Crown on the other hand submitted that the diagnosis was not fresh as Alex’s legal team should have had Alex assessed prior to trial and it was also not capable of belief as my mother’s PhD in Psychology would have enabled her to ‘coach’ Alex in how to act autistic and because, in the prosecutors view, autistic people can’t laugh and Alex laughed with a co-defendant during a break in the proceedings. On 11th August 2018 Alex’s permission to appeal was refused. Lord Thomas, Lady Hallet and Lord Goss agreed with the Crown, they knew more than Baron-Cohen in the field of autism – ‘At worst Henry suffered from mild mental illness’ [Grant Murray and others  EWCA Crim 1228 para 71. It was every mother’s nightmare, screaming for help but no one came to help. My lovely vulnerable son. I knew there was something wrong and the only person who could save him was me. But he did not seem to listen to me when I tried to steer him in the right direction. Everyone else had given up, the authorities had cast him out. He had not been educated since he was expelled from school at aged 11, social services were only interested in blaming the mother and after a decade of trying to get an assessment the psychologist took the easy route, suggesting he probably had depression because of my split with his father. The problems start when he was just 2 with tantrums which went on and on. I thought the only way to understand Alex would be to study psychology, so I started what turned out to be a very long journey. It was around this time that for several weeks Alex kept vomiting and we saw his weight drop. The Health visitor called it ‘failure to thrive’ and all the time my instincts were screaming that something was not right with Alex. No matter how many times we visited the GP we did not get referred to anyone until eventually he projectile vomited across her consulting room. She immediately sent my husband and I to A&E with a sealed letter. I opened it and felt a lump catch in my throat when I saw the words ‘Alex Henry’s mother is doing well since she returned to education’. I knew this was code for ‘she is not making it up’. I’ll never forget that. 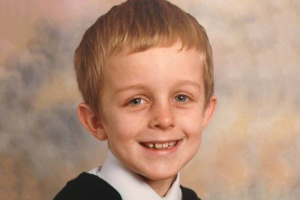 Alex did well at school until at aged 6, he complained of being bullied. The head teacher agreed to keep a classroom unlocked so that Alex had a ‘place of safety’ to go to but shortly afterwards following an incident in the playground Alex found the classroom was locked. After that he developed terrible anxiety and would not go into school in the mornings, running through the playground and clambering the high walls to try to escape. The Educational Psychologist refused to see him but after pestering her with phone calls I received a crumb from her table. She said, ‘he has probably developed a school phobia’. It was around this time when Alex was 7, that my marriage to his father broke up. His teachers were becoming increasingly frustrated at him. I remember one teacher complained to me that he would not sit down in the classroom and constantly disrupted the class by marching around the classroom. I remember the way she spoke about him was as if she loathed him. I wondered if he sensed that and if the teachers were bullying him too. The final straw came for Alex when another teacher yelled at him in front of the class ‘just because your parents have split up does not mean you do not have to do your homework!’ He looked destroyed. That was the last day I made him go to that school. We were resolute, we would not take Alex back until he received the help he needed but instead we received threats of court action and fines. We eventually realised help was not coming and some months later when Alex was 8 his father paid for Alex to attend a local private school which was small and affordable. I remember the school sat with Alex on a one to one basis and very slowly and gently coaxed him into the classroom. He settled, and for the next year or so he seemed happier, made friends and seemed to enjoy his schoolwork. However, as his last year approached before he would move to secondary school he started to have meltdowns again and the school were struggling with him. It was at this time that things started to get worse. In a family photo he looked oddly at the camera, his eyes looked unfocused, like he was ‘punch’ drunk. He had more and more meltdowns and his grandparents would no longer allow him to visit. The Children and Family Court Advisory and Support (CAFCASS) had decided upon shared residency and so Alex moved from my home to his fathers during the week which disrupted his routine. He did not cope well with change and when he arrived at my house he was always anxious. His meltdowns would start in the evening, usually between 8pm and 10pm. He would come downstairs into the lounge and start to move objects around in a frenzy of worry. Immediately I knew he was going to have a meltdown but once triggered, nothing would calm him down. He would talk to himself in frightened tones becoming more and more distressed, slamming doors over and over, rearranging ornaments and furniture obsessively. This would worsen over several hours and eventually I would take him into my bedroom where he would continue to have a meltdown. His distress was painful and heart-breaking. With my arms and legs wrapped around him I would gently restrain him so that he could not hurt himself, telling him ‘It’s OK, mummy loves you’ over and over until finally in the early hours he would fall asleep in my arms. Alex had been having meltdowns for 18 months when it reached its peak at several times a week. One morning, exhausted I rang NHS Direct who told me to take him into A&E where they had people waiting who could help him. I had to get help to force him into the car and once we arrived we were immediately ushered into a room. All the time I was aware of the cameras in the room and I knew they were observing me. I was terrified they would blame me. Alex was saying he was an ‘alien’ and rushing at the door to try to pull the door open. I put my foot by the door and I remember it slamming ‘bang’, ‘bang’, ‘bang’. It seemed to go on for hours. Finally, help came but the nurse could not calm Alex down. The worst memory I have is of four male nurses holding his tiny screaming body down on the trolley while they wheeled him onto the ward. I kept wondering if I had done the right thing. Eventually he calmed down. His father came to see him. The consultant told us they had organised for a specialist psychiatric nurse to start an assessment the following day and I thought ‘hallelujah’. I left the ward for just a moment and when I returned his bed was empty. The consultant told me his father had discharged him against their advice. He didn’t want him labelled, he said. I was devastated. By the time Alex was nearly 12 his meltdowns had stopped but depression appeared to overwhelm him. By this time, he had been transferred to a small private secondary school, but he was not happy, something or someone was upsetting him there. Then the day came when I received a phone call from his new school to tell me that he had been expelled because he had graffitied the school wall. It was not unexpected. I rang social services and they put me through to a man, but he did not seem to want to help and instead asked what Alex’s ‘tag’ was. Because they wanted to arrest him. We pleaded with the local authority to allow Alex into the secondary school his sister Charlotte attended, but they refused. His father appealed against their decision and after several months the school were forced to accept him. We were jubilant and hopeful, and Alex was excited about being with his sister and other boys and girls he already knew. I remember thinking that Alex would have a chance to dream about his future again and a much-needed sense of belonging. But just 11 weeks later when Alex turned 13, I received a call from the Head Teacher informing me that Alex had been instantly expelled for ‘sexual misconduct’ after looking up a girl’s skirt. Alex did not seem to realise why this was wrong and kept asking why his sister could go to that school and he couldn’t. For the first time I could feel his huge sense of rejection and I was frustrated and angry because despite having completed my PhD in psychology I still did not know what was wrong with him and we were still getting nowhere. Trying, failing, trying, failing. During the day while I worked Alex moved between his father’s house to the streets, to the ‘alternative provision’ (study centre) and back to me. I did not know who his new friends were. I remember he stayed out all night and told me he slept on a park bench. By the time he was 14 he was involved in low level criminal activity. He was arrested for the first time for punching a bigger boy and charged with common assault. Soon I started to smell cannabis on him and it was not long before he was charged with possession. Eventually the Local Authority awarded him an ASBO to control his whereabouts, restrict his movements and impose a curfew. I did not realise at the time that this would be the catalyst for his prison life. He came to stay with me less and less. The ASBO tried to parent him, to stop him going to a local estate and certain other roads and mixing with certain people. Every time he broke his ASBO, no matter how minor and despite it being a civil breach, he would immediately without a hearing or trial, be whisked into young offenders at Feltham and kept in isolation. Suddenly behaviour which would not normally be criminal, such as being seen with a certain person or walking through a housing estate, was criminalised and treated as an imprisonable offence, resulting in a long ‘criminal record’ and many months of his teenage life inside. But the ASBO did not deter him, my love did not deter him, his father’s temper did not deter him. It was at this time I met and married Geoff, my second husband. Ex-RAF, no children of his own, loving and fair, I thought, this will give Alex the stability and role model he needs, and he will start to thrive like his sister. But instead Alex seemed to be going ‘backwards’. He had no interest in anything, his love of chess had by now totally disappeared, his concentration was non-existent, his social skills resembled someone who was not ‘with it’, even his gaze seemed odd. By the time Alex was 17 he had been in and out of Feltham Young Offenders several times, usually for 2 months and always for breach of his ASBO. He had very little time out of his cell, usually locked up for 23 out of 24 hours, and was frequently put in isolation, sometimes for several weeks. There were frequent fights in the visiting hall in front of families, some of them children, and the prison guards were always slow to break them up. Then when Alex was 19 his father, who was a self-employed carpenter, started to take him to work with him as his apprentice. Alex brought a girl home and they would spend evenings cuddling on the sofa watching movies and eating pizza and she loved him. I saw him often and months passed peacefully. They seemed happy. Finally, I had hope. Alex was 20. It was a hot Summer’s day on 6th August 2013 and Alex had been out shopping in Ealing Broadway with his best friend Janhelle Grant-Murray and Younis Tayyib and Cameron Ferguson. Janhelle and Younis decided to leave and go back to Younis’ address a few short minutes from the town centre. Whilst outside Younis’ address, Janhelle was confronted by a group of four older boys (Bourhane Khezihi, Taqui Khezihi, Dapo Tijani and Leon Thompson). The groups were strangers to each other. Meanwhile Alex and Cameron had finished shopping and were making their way up the Uxbridge Rd to Younis’ address. Alex became aware that Janhelle was in an altercation with a group of boys. By this point Bourhane had removed his belt to use the metal buckle as a weapon and Janhelle had taken a bottle of wine from the local Cost-Cutters and was holding it down by his side. Alex ran to Janhelle’s defence with Cameron running roughly 5 metres behind him. As he got to the scene he saw Taqui punching Janhelle repeatedly. Alex picked up Janhelle’s mobile (that had fallen from his pocket) and threw it at Taqui striking him on the top of his head. Bourhane punched Janhelle once and used his belt as a weapon, lacerating Cameron’s ear. Alex punched Bourhane once and Younis actively tried to prevent the violence. Dapo and Leon were passive bystanders and Janhelle punched no one. The violence lasted under 40 seconds before Younis’ mum who had heard the noise and left her address which in turn stopped the affray. In that 40 seconds Cameron had put his hand inside his JD sports bag and held a knife. He never took the knife out of the bag and it was concealed at all times. He used the knife to stab both Taqui and Bourhane before fleeing the scene. At first Bourhane, Dapo and Leon said Alex and Janhelle also had knives, but these claims were withdrawn during their evidence and the pathologist report said it was possible that both knife injuries were caused by the same knife. No independent eyewitnesses saw the knife and it was suggested that the reason for this was because it remained concealed in a bag. The evidence emerged that no one present during the fight including Bourhane himself had realised there had been a stabbing. All boys dispersed before Dapo informed Bourhane that it looked like he had a scratch on his back. Taqui later died of his injuries. There was no evidence against Alex except for his presence. Later that day three police officers came to my door and told me they had received information that Alex might be in danger and they needed his mobile number. His father said Alex was staying with a friend and Charlotte reassured me that she had spoken with Alex and knew he was OK, but she seemed unusually quiet. Two days later my husband and I had taken our motorhome to Pevensey Bay where we had arrived late in the evening. I remember it was pitch black and my husband was trying to fix the electricity when my mobile phone rang. The person on the other end of the phone told me he was the custody Sergeant from Croydon Police station and they had arrested my son for murder. They put me through to his cell. I remember the sounds of his screams echoing around the cell, barely able to hear me, like a small child again ‘I want my mummy’ over and over and I literally wanted to die. I went into a numb state, like I was on autopilot. I told my husband to drive us home. My daughter was distressed but worse than that she looked terrified. I reminded her Alex had said he didn’t hurt anyone but that’s when she explained that Alex had been charged with murder under Joint Enterprise, it didn’t matter who did it. The next morning, we went to the Magistrates Court to hear the pleas. Alex’ girlfriend came, and it was that day she told me she was pregnant. Alex stood behind a Perspex screen, thin and pale next to his three co-defendants who towered above him. I tried to smile at him and mouthed ‘I love you’. 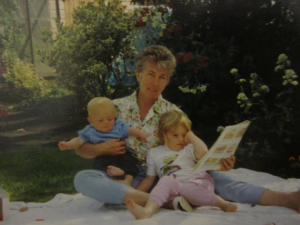 The charges of Murder and GBH were read out to the first boy but everything stopped at the word ‘murder’, my legs had given way and I was on the floor, all I could hear were people saying, ‘is she alright?’ I thought it can’t get worse than this. Alex returned to Feltham Young Offenders Institute on remand. During visits and I could still sense the brutal atmosphere. Fighting was so normalised in Feltham, there was a sense of nonchalance among the guards and I found it so hard not to be frightened. I asked him as he looked furtively around him, whether he had thought about what he might do when he got out. ‘I can’t think about that stuff mum. I can’t think straight’. During one visit Alex said to me ‘You know what the saddest thing is mum if I end up getting life? It’s that I know I won’t see nanna and papa again’. Since he was charged his grandparents health had rapidly deteriorated. I had to stay positive, I reminded him that he was only trying to help his friend, he didn’t hurt anyone, the jury were bound to believe him. 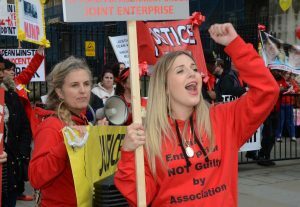 While Alex was on remand I joined the campaign group ‘Joint Enterprise Not Guilty by Association (JENGbA)’ and soon met other families of Joint Enterprise prisoners, some of whom had children under 16 serving life, some were not even present at the scene of the crime and many had learning disabilities. Gradually it dawned on me that this law was not about intention, or even about a fair trial, it was about catching the vulnerable in a net and throwing away the key. I knew I had to prepare Alex for the worst. The day came I had been dreading when he asked me again ‘Mum, what if the Jury find me guilty?’ and I said, ‘you will have to make a life for yourself in there Alex’. I wondered how I would carry on without him. The grass roots campaign group Joint Enterprise Not Guilty By Association (JENGBA) put me in touch with a documentary maker who wanted to follow Alex’s case for the BBC documentary ‘Guilty by Association’. The director Fran Robertson explained that in recent years there had been so many examples of injustice as a result of Joint Enterprise and it was important for the public to see a case unfold. Like they all knew he wouldn’t get out. But it gave us a voice. Just in case, we thought. The trial started at the Old Bailey and the facts of the case were unravelled. We prayed that the boy who did the stabbing would change his plea and confess. I wanted to shout out ‘I know who did it!’ but what good would that do? I don’t have any evidence. I’m just another rubbish mum. Days went past and still I willed the boy who had carried out the stabbings to confess, because then the charges of murder would be dropped, surely? On day four the Judge adjourned and when he returned Cameron Ferguson was asked to stand up. He was asked to state whether he pleaded guilty or not guilty to all the charges. ‘Guilty’, he said. I thanked God and cried. Because the parents of the victim knew who did it. And everyone knew it wasn’t my son. The following night Alex became a father to a little girl and I cried. Every night we cried. Charlotte threw herself into her law books and I seemed to spend every evening trying to explain the law to disbelieving friends and family. Every morning it felt like the first day again. Like a punch in the stomach. We listened from the public gallery as the prosecution painted a picture; an abstract work of art, it’s resemblance to anything real based merely on connotations. The jury were expected to make their decision based on inferences about the mental predictions of three young men in a 40 second spontaneous fight. 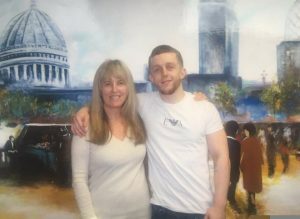 I scrutinised the jurors, those 12 members of the public who would take my son away from his family and place him someone where he would spend the best part of his life on 23 hour-a-day- lockdown, 3 to a cell with an open toilet. Where he might think about killing himself. On the Friday 7th March the jury went out to make their verdict. We had to sit outside the courtroom on the cold stairs and wait. At 3.30pm the following Wednesday the jury returned a verdict. The other courts were gradually emptied. We sat on the stairs and waited and prayed. I wondered why we had to wait so long. Other courts had announced verdicts but we had to wait until the Old Bailey was empty. And then the penny started to drop. We were ushered into the public gallery where we sat in the front row. I asked a friend to stand the other side of Charlotte as she might collapse. But Charlotte looked at my friend and they stood either side of me holding my arms. The jury looked pale. They didn’t look up at us like they normally did. The young girl who always gave a quiet smile looked like she had been crying. The older lady who looked so wise. The man at the back who looked so fatherly. The superior woman at the front who looked full of gleeful satisfaction every time she passed the judge a question and so affronted when one was declined (‘did you approve of your son’s friends?’ she attempted to ask Younis’s mother as she stood on the witness stand). The Judge looked up at us gravely. ‘You will listen to the verdict in absolute silence. I will not tolerate anything but absolute silence from the public gallery’. The lead juror stood to read out the verdicts. Younis Tayyib was asked to stand. He was found not guilty. The Judge asked Alex to stand. He stared straight ahead, like he had had the life kicked out of him. His short fine frame, face pale like death. ‘Guilty.’ I looked at Charlotte. Like being under water. The words were muffled. I looked up at Charlotte again. ‘Did he say guilty?’ I felt my body falling. ‘I can’t hear him’ I remember trying to say in great gasps, but I couldn’t lift my head. ‘Yes Mum he said guilty’. I covered my face and wanted to die right there, right then. I looked up from where I was now curled up on the floor ‘What for?’ ‘For all the charges mum’. And then Janhelle’s mum was wailing ‘you can’t take my child’ and I could feel the hands of the security officers who were trying to remove me. Alex was sentenced on 28th March 2014. During sentencing Charlotte and I held on to each other tightly and told each other we would fight and fight. I would not look at the Judge, I did not want him to see me cry. The Judge looked directly at Charlotte as he sentenced her brother to 19 years in prison. I have never felt so angry in my life, but I did not let the Judge see me cry. All I could think was I had let my son down and now my vulnerable beautiful boy was taken from us all. 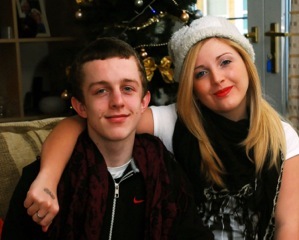 Read the continuing blog – Fighting for my brother, by Alex’s sister Charlotte here. I recently completed a three-year project delivering learning disability and autism awareness to staff across the Criminal Justice System for the charity KeyRing. During this time, I delivered a one-day training course to over 1600 front-line staff in the Criminal Justice System (CJS). The training was co-delivered each time with a member of the Working for Justice (WfJ) group, all of whom have a learning disability or autistic spectrum condition and first-hand experience of the criminal justice system. I really enjoyed delivering the project as it combined training, research and practitioner skills and I learned a great deal myself as a consequence of delivering the project. People with multiple or overlapping needs are comparatively common in the criminal justice system and it is generally accepted that about 20-30% of offenders have a learning disability or difficulty that interferes with their ability to cope with the criminal justice system (Loucks, 2007). Prevalence rates for Autistic Spectrum Conditions (ASCs) are less well defined but are thought to be higher than the 1-2% of people in the general population who are autistic (Allely, 2015a). HMYOI Feltham was the first prison to gain Autism Accreditation in 2015, and in 2016 they identified that 4.5% of their population had a diagnosis of autism, received either before prison or in the prison (Hughes, 2017). Having a learning disability or autism can be influential in many ways within criminal justice system that all need to be acknowledged and responded to. There may be reasons related to a person’s condition that are relevant with regard to their entry into the criminal justice system, whether this is a person with autism who breaks the law trying to engage in their ‘specific interest’, a person with a learning disability who experiences ‘mate crime’ and is taken advantage of to take part in a burglary, made to store stolen good or who has their flat used by a drug dealer to sell drugs (known as ‘cuckooing’). Others may become involved with the CJS as a consequence of not understanding social norms. This is not to say that such people are never guilty of breaking the law, but that my experience is that they often become involved knowingly or unwittingly in other peoples’ offending in ways in which their vulnerability is relevant. At both the police interview stage and in court, people with autism or learning disabilities may be disadvantaged or vulnerable as a consequence of their condition. Deference to authority or acquiescence can mean that people may give the answer they think is wanted, rather than the truthful answer. Many people with autism or learning disabilities have communication difficulties that make it harder for them to understand and process what they are asked, resulting in them taking a long time to answer questions, or to formulate and communicate their responses to questions. Poor communication skills can also result in them giving odd or inappropriate responses because they do not understand the question, but are afraid to say so, for example: Magistrate: “Do you feel contrite about your actions?”, Defendant: “No.”. The ‘Black and White’ thinking patterns often exhibited by people with autism can mean that they do not appreciate the relevance of mitigating circumstances and may fail to adequately defend themselves. When working as an sessional Appropriate Adult supporting young people and vulnerable adults, I personally felt that many detainees I supported did not fully understand the potential implications of giving a ‘no comment interview’, a topic that I have written about here. I have previously been concerned on occasions that some people were punished for other peoples’ failures, or for failures in the system. The case of Sally is an example of this. ‘Sally’ (a pseudonym) was a 16-year-old that I supported in police custody as her Appropriate Adult. In many ways Sally was triply vulnerable – her age, she was a ‘looked after child’, and she had autism, although she would be considered to be quite ‘high functioning’. Sally’s case illustrates how failure to support people with autism appropriately and to meet their needs, and then poor responses to the resulting behaviour, can result in a criminal record for the individual. Sally was 16 years old and was living in a children’s home when she was arrested on suspicion of criminal damage. She admitted to breaking a chest of drawers in her room in the children’s home during an autistic meltdown. However, she said that her care plan, designed to minimise such occurrences, was not followed. According to the National Autistic Society a meltdown is ‘an intense response to overwhelming situations. It happens when someone becomes completely overwhelmed by their current situation and temporarily loses behavioural control. This loss of control can be expressed verbally (e.g. shouting, screaming, crying), physically (e.g. kicking, lashing out, biting) or in both ways’. Sally was advised by her solicitor to plead guilty to a charge of criminal damage and offer to pay for the damage to the chest of drawers which she did. Consequently, she now has a criminal record. From my perspective, the incident could be viewed as resulting from poor support and adherence to pre-existing care plans by the staff at the children’s home. It also raised issues for me of capacity and culpability. 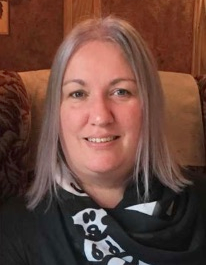 Mitigation under the Mental Health Act is rarely extended similarly to autism – and my perception was that Sally was not culpable in this instance, however, the role of an Appropriate Adult is not to provide legal advice or commentary. Although frustrating for me, I am now in the position to try and change the support and advice that autistic (and other vulnerable) people receive in the CJS through the wider work that I am doing, and through being invited to write posts such as this. There is scope within the CJS for improved communication between agencies that would ensure that vulnerable adults’ needs were more adequately met. For example, the first Joint Chief Inspectors Report on The Treatment of People with Learning Disabilities in the CJS identified that in only a third of cases where advice was sought by Police from the Crown Prosecution Service (CPS) following an interview where an Appropriate Adult was supporting a vulnerable adult, was any mention of their vulnerability mentioned in the submission to the CPS. Therefore, in two-thirds of such cases, the CPS are making decisions without all the relevant information. Similarly, information known to the Police is not always shared with courts, information known to courts is not always shared with prisons or community offender management services. Beyond this, there is a lack of parity between different sections of the CJS. The Police and Criminal Evidence Act Code C stipulates that vulnerable adults must have appropriate support whilst in police custody, particularly during interview. However, for those vulnerable adults whose cases progress to court, there is no such support statutorily available in Magistrate’s or Crown Court (although vulnerable witnesses are entitled to ‘Special Measures’ to ensure that they can provide the best evidence they are capable of). Although this inequality cannot be rectified as easily through the delivering of staff training, I hope that drawing attention to such differences in the treatment defendant and witnesses, and in different parts of the CJS may ultimately lead to better parity. As people with autism or learning disabilities progress further into the justice system, the difficulties that they experience can continue to increase. Simon Baron-Cohen once said that putting someone with autism in prison and expecting them to cope was like pushing someone with physical disabilities who is in a wheelchair into a swimming pool and expecting them to swim (Allely, 2015b). Whilst for some people with autism, the well-defined regime of the prison may be reassuring, for others it is very hard to understand the (sometimes unwritten) rules and regulations of prison. People with cognitive impairments often struggle to complete Offender Behaviour Programmes (OBPs) as it is common for accredited programmes to stipulate that an IQ of 80 or less (potentially about 25% of the adult prison population) is an exclusion criterion. For people on indeterminate sentences who have to satisfy a parole board that they should be released, problems completing sentence-planned programme targets, combined with a lack of language to express remorse and to describe how the risk they pose has been reduced, can mean that they are in prison substantially longer. If vulnerable detainees, such as those with autism or learning disabilities, are identified in police custody, and then provided with appropriate support to put their case forward in police interviews, then their cases are less likely to progress to court unnecessarily. Adequate support in court, combined with appropriately knowledgeable court staff would reduce the chances of unfair treatment or miscarriages of justice. The large cost of people being sent to prison unnecessarily would then be reduced, and I believe that this alone would offset the cost of awareness raising. Where vulnerability is taken into account and suitable responses taken into consideration, then those who are genuinely guilty of offenses could receive appropriate support and interventions that would effectively reduce their potential for committing further offences – and where prison or a community sentence involving OBPs is most appropriate, that those programmes meet the needs of those to whom they are delivered. Where prison or a community sentence is not the most appropriate response, that there are suitable alternatives into which people can be diverted. Communication difficulties combined with poor emotional management can mean that some people with more complex support needs are more likely to express anger as a consequence of frustration that they are not well equipped to deal with. Especially in prisons, the ability to recognise this and defuse situations before they escalate would be preferable for all involved than a reactive response involving control and restraint (C&R), people being held in segregation units and governors spending time on adjudications. Given the proportion of people in the CJS who are vulnerable, I usually suggest to staff undertaking the training that they take a reactive approach to identifying vulnerability, actively looking for clusters of signs that people may have additional needs, rather than waiting to be told. Especially in prison, where people fear bullying and exploitation, those with autism or learning disabilities may try very hard to ‘mask’ or ‘cloak’ their problems, often not realising that this can make the situation more problematic for them. Beyond this, increasing knowledge and skills can help people to feel more confident and competent in dealing with more complex needs and circumstances in their job roles. The majority of staff I have encountered are eager to provide the best service and support that they can, it is why they do their job. The benefits to vulnerable adults of greater awareness of the indicators of additional needs and staff having the skills and knowledge to provide effective support are wide ranging. Being enabled to communicate effectively with people who understand your needs can make what is for anyone a very stressful experience comparatively less stressful. Ensuring that you are treated fairly and that you feel a sense of ‘Procedural Justice’ is important for anyone who comes in contact with the CJS. Feeling that others understand your needs can increase the likelihood of self-identification as having additional needs and of getting those needs met, rather than trying to hide them and having them unmet. In terms of co-delivery of learning disability and autism awareness training with people who are experts by experience, I identified many benefits to this approach. Criminal Justice workers attending the training often reflected in the evaluation forms that this was the most beneficial component of the training. My co-trainers in turn became more self-confident and empowered by people listening to their first-hand experiences and this made them feel that their perceptions and experiences were valued by others. For many it was also a great power balancer. One co-trainer commented that after spending years in prison, listening to prison staff tell him what they thought he ought to do, here he was delivering training to them, and they were now the ones now needing to listen to him. 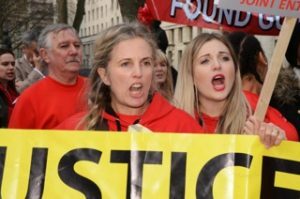 The Working for Justice group as a whole have also had input into numerous evaluations of government policy, a variety of academic studies and have taken part in many research studies. Again, this is empowering for them, builds self-esteem and hopefully results in policies and procedures that meet the needs of those like them. Whilst I was regularly asked whether I thought it would be better to spend money on the victims of crime, rather than the perpetrators, I believe that for many people with autism and learning disabilities in the Criminal Justice System, the distinction between offender and victim is often blurred. Awareness of additional needs amongst people in the CJS system is slowly increasing, particularly in relation to the prevalence and influence of autism, and I hope that this continues. However, given the prevalence of such additional needs, I feel that the level of training currently provided in how to support people with more complex or overlapping needs, especially to new staff, is insufficient and I believe that it would be universally beneficial to all involved if there was a greater focus on this. 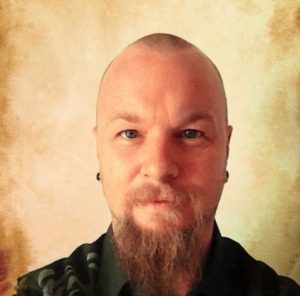 Hugh currently works as a freelance trainer and consultant, and as a project manager across the Criminal Justice System (CJS) in England, Wales and Scotland. He has over 15 years’ experience of working in the CJS as a practitioner and as a researcher in prisons and police custody with drug users, young people and vulnerable adults. He is currently undertaking a short project with the Listener Schemes in Scottish Prisons for the Samaritans. My experience of Autism Spectrum Conditions is different to others that have written this week. Mine is that of a parent to a child on the spectrum, no doubt a position I share with many others if national statistics are to be believed. My journey started 7yrs ago when my eldest daughter started to self-harm as part of what could best be termed as “meltdowns”. It was horrible to watch this destructive behaviour in someone so young, she was only 7 at the time, and to not really understand why she felt this way. Even more crushing was the feeling that as parents we didn’t know how to help and often what we did made things worse. After getting some initial help from the local child services things started to make sense. She was initially misdiagnosed but the more we looked into things the more we realised she had Aspergers. We tried lots of strategies and slowly but surely we were able to find ways to help her and prevent her destructive meltdowns. The key to this was realising it wasn’t about trying to change our daughter but to change the environment around her. We found ways to help her take away the need to self-harm, ways to self-regulate her anxiety and ways to help her deal with the every day problems of being a teenager. It still remains a “hidden condition” and if you met her for 5 minutes it’s doubtful you would realise but at certain times, and certain situations, you would spot some of her quirks that sometimes mark her out from the crowd. Over time she has learned to accept this and uses her unique personality to her advantage. Like many others on the spectrum she has one thing she is fascinated by; hers is make-up. However, as a 14yr old girl this isn’t such a bad thing as she now completes the makeup for all her school drama groups and has made new friends that way. She could put some of the staff at Selfridges to shame with her skills no doubt! As a parent though, try not to shield your ASC child from the outside world but introduce them to it slowly. It’s very easy to wrap them up in cotton wool but at some point the ability to stand on their own two feet can do wonders for their self-esteem and confidence. It’s taken a number of years to turn the corner but it is possible and we can see a bright future for her. I only got diagnosed a couple of years ago ; it came about as a result of a few issues happening at the same time. Firstly id been googling autism as I thought my Dad was displaying symptoms, then the more I read it, the more I thought oops this is actually me. This happened at the same time as I was really struggling to relate to a line manager; I was so intolerant, and so irritated by him. I couldn’t understand why none of my colleagues said anything – but me, well I could barely understand anything he said so I was always challenging. I had also been struggling to parent my daughter since she started high school. We just cant talk to each other. Despite my efforts to be supportive, I have fixed views – my world is black and white with no shades of grey and I follow rules to the letter. When school doesnt stick to the rules that they have made- whether that is uniform standards or homework expectation, she tells me im “pecking her head”. In my mind Im just following the rules; but I accept I can sound obsessive. She is embarrassed by me, my hobbies and my obsessions which is a little sad – but one day I will explain my condition to her and Im sure we will get over this difficult period. Getting a diagnosis slotted so many things into place – I used to think I was social phobic, I hate public occasions where I might have to do small talk and I can’t cope with spontaneity – a sudden change of plan creates anxiety and I have to break things down bit by bit to work out that I don’t need to be anxious ..
Ive been an Inspector a long time, and all my career Ive been told I was challenging, sometimes awkward and fixated but I now know thats why I’ve migrated to certain roles where I use my quirks to my advantage. Im very skilled at report writing, planning, doing detail. Im reliable because I take thing seriously. There are some many roles in the police – we absolutely can find roles that suit our skill set – there are even companies out there that specifically recruit autistic people because of our special talents. Being given a diagnosis of Asperger’s was no surprise to me. I’ve always known, you can’t possibly have a 20 year old son with Asperger’s and not realise you’re on the spectrum too. I used to be an operational Police Officer and never felt the need to obtain a diagnosis, but in recent years I have been office bound and found the office environment to be hell on earth! Obtaining a diagnosis was the first step to getting my supervisors to understand, and was also a key tool in obtaining the reasonable adjustments needed. Air conditioning, fluorescent lighting, messy desks, and other people daring to move things around on my desk, all drive me insane. When someone puts the radio on in the office I can almost feel myself reaching for my coat and wanting to head home. I cannot filter out the noise from the radio, and on many occasions have found myself typing the lyrics to the song playing on to the Crime Report. These sensory processing issues leave me feeling absolutely exhausted by the end of the shift. I barely get through a shift without experiencing some kind of sensory overload. Being able to escape to a quiet empty room is heaven to me. Sometimes I enjoy speaking with my colleagues, but other days I would much prefer to be “people free.” Being honest, I would be happier in an office full of cats! Making conversation with people who almost speak a foreign language to me is tiring and painful. The constant changing inconsistent social rules of the office make no sense to me. I hate the stereotypes associated with Asperger’s, especially when people expect me to be sensational at maths and a computer geek. I struggle with computers, and I couldn’t honestly do primary school maths! I much prefer spelling, and I am a bit of a grammar guru. I am very intolerant of other people’s poor spelling and grammar. Some say I am obsessed, but I just like things to be right. Truthfully, I love Being Asperger’s and I am grateful that I am articulate and see things others cannot see. I love that I am comfortable in my own life and don’t have a constant need for interaction with others.